In 7 two – place standard category rooms there are double or twin beds, desks and journal tables with adjusted lighting for working, reading and leisure. The furniture of the highest quality, stylish interior and anti-allergic bedding will enable your good rest. 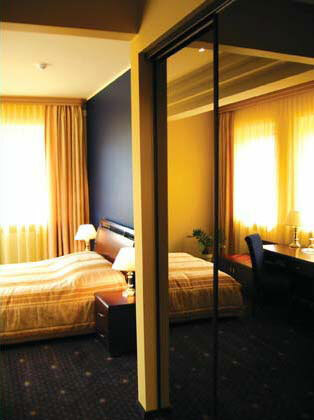 We may also propose the rooms with the balconies which have the picturesque view to Žaliakalnis. 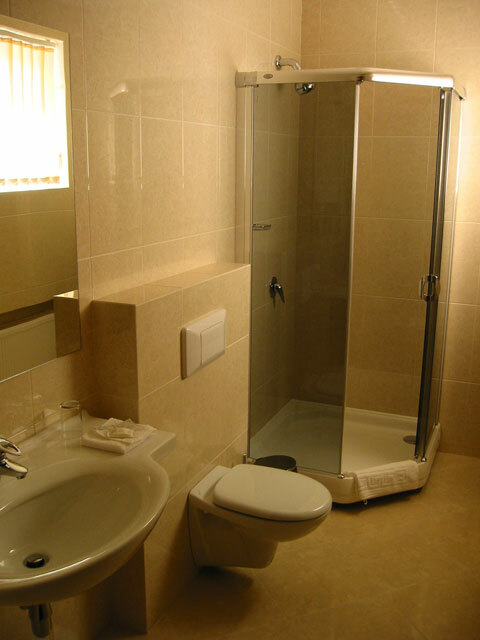 There is a basic set of bath and shower accessories and a hair dryer in the bathroom of every standard category room. Breakfast, dinner and supper can be served on request to customer‘s room. This is an exelent choice and comfort for both recreation and business stay. Accommodation in selected room with shower and WC, equipped with cable TV, air conditioning, international and local phone line. 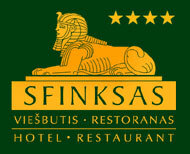 Breakfast at the restaurant of the hotel „Sfinksas“. Lock – up parking space. Children under 6 years old can stay in our Hotel for free in their parents room. Additional cot is provided in request.